President George Washington will parade down the streets of Old Town on Monday, Feb. 21, for the largest Presidents Day parade in the nation. It’s a time-honored tradition that kicks off at 1 p.m. at the intersection of Gibbon and S. Fairfax streets. You don’t have to be at the reviewing stand near City Hall’s Market Square to get a good look at the parade festivities. Alexandria was President Washington and First Lady Martha’s hometown. Residents keep the traditional parade going with flair, pomp and fun. 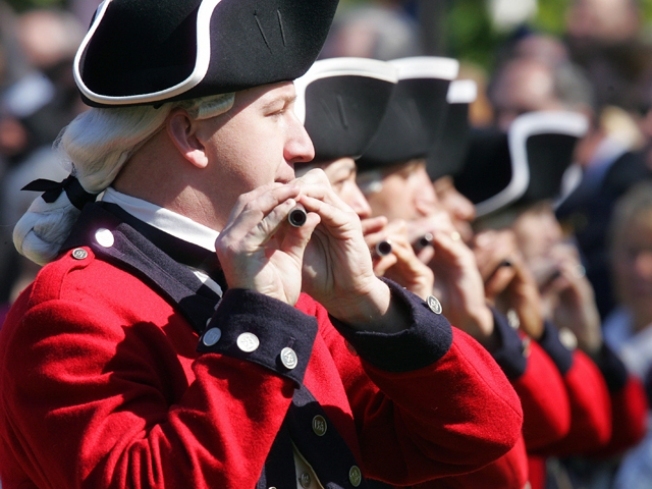 The parade is a peek back into the time of the Revolutionary War and the birth of the nation. The annual event began around 1923 and features marching bands, floats, horses, historic reenactments and other special performances. Free Dash shuttle bus service will ferry you to the parade route from 11 a.m. to 4 p.m. Parking is free at the lots next to the Eishenhower Avenue Metro Station. There are also a host of parking garages near the parade route. In 1971, President Richard Nixon combined the birthdays of Presidents Washington and Lincoln to be celebrated on the third Monday of February. Ever since then all past presidents’ birthdays are celebrated on this federal holiday. The parade in Alexandria is only one of the many festivities honoring America’s presidents. Check out About.com for a list of more events.